CLEMENS, Samuel Langhorne.] TWAIN, Mark. 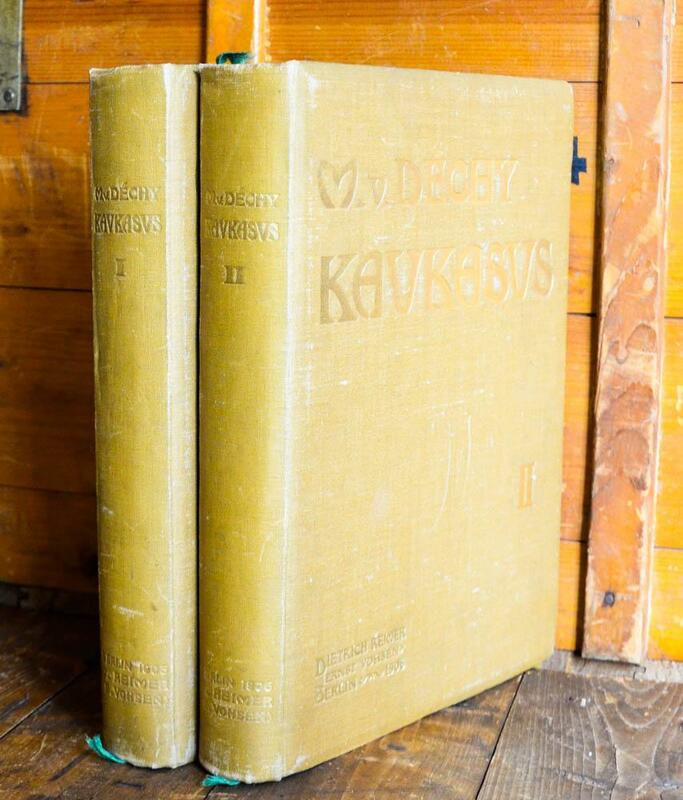 New York: Harper & Brothers Publishers, 1906-7 - 24 volumes, octavo (195 x 128 mm). Original publisher's red half morocco, titles and floral decoration gilt to spines separated by two flat bands, marbled boards and endpapers, top edges gilt. Spines faded and rubbed, overall a very good set. Frontispiece to each volume, occasional plates throughout. 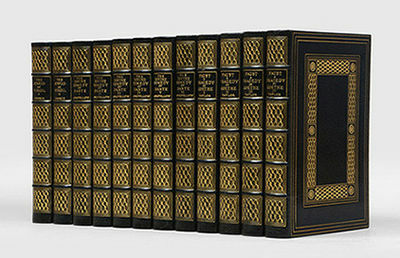 A complete set of the first Hillcrest edition, a supplementary 25th volume was added later in 1907. 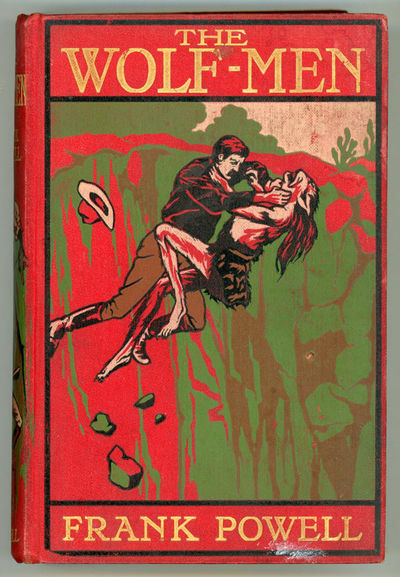 This edition was the second uniform collection of Twain's works to be published, the first such collected edition being the Underwood/Riverdale edition of 1901. 1906. 1st Edition. Framed and Matted 9 1/2 X 12 inch etching on paper by Hermann Struck of a Jew reading Torah, signed by Struck in the lower margin. Not dated, but probably from early 20th century (1900-1910) . Journal de l'expédition antarctique française 1903-1905. Le "Français" au Pôle Sud ... Préface par l'Admiral Fournier ... Suivi d'un exposé de quelques-uns des travaux scientifiques par les membres de l'état-major MM. Matha, Rey, Pléneau, Turquet, Gourdon, Charcot. New York, Philadelphia: Frank S. Holby, 1906. The Old Manor House Edition. Hard Cover. Very Good condition. No. 956 of 1000 numbered & registered copies. Edited by R. Brimley Johnson. Introduction by Prof. William Lyon Phelps. Color plates by C.E. & H.M. Brock. 8vo; brick red cloth, paper spine labels. All volumes with color frontis & 2 color plates, all with tissue guards. Volume 1 with unsigned portrait of Austen, "said to have been painted when she was on a visit to Bath, at age 15 by Johann Zoffany," according to the caption printed in red on the tissue guard. Paper labels tanned; minor wear to ends of spine; occasional unopened pages. Kaukasus. Reisen und Forschungen im kaukasischen Hochgebirge. Band I und II in 2 Bänden. La bijouterie française au XIXe siècle. The Rede of Birds [and] Autobiographies. Paris: Librairie Centrale des Beaux-Arts. 1906. First. First edition. Large folio. 12pp., and 24 plates. 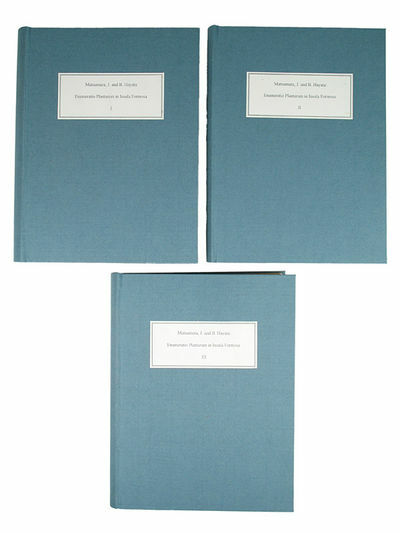 Quarter cloth portfolio with illustrated paper covered boards and three cloth ties. Ex-library copy, bookplate, perforated stamp on the title and two text pages, and very small ink stamp at the bottom right margin of the plates. Spine is split along the front joint, toning to the pastedowns, a few small tears to the edges of the last plate, else very good. 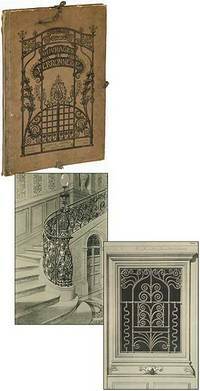 The plates depicting elaborate wrought iron gates and various metal works are nice and clean. . The Novels of Jane Austen. 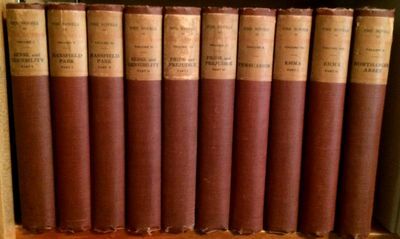 (In Ten Volumes). [Garden City, NY]: Doubleday, Page and Company, 1906. 8 leaves. Small octavo. Gray wrappers, printed in black. Upper fore-corner of upper wrapper creased, pencil note (see below), otherwise near fine. 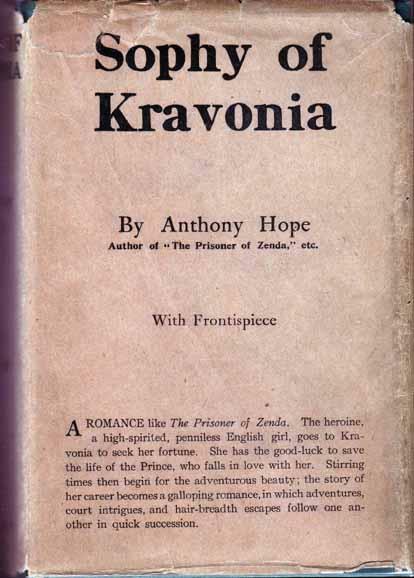 First edition in book form, one of less than thirty copies printed to secure copyright in the US. Kipling's poem in opposition to the terms of the grant of self-governance to the Union of South Africa first appeared in THE STANDARD on 27 July 1906, and A. P. Watt arranged with Doubleday for its publication in this format to secure copyright in the US. Kipling never collected the poem, although an earlier, different poem wore the same title. From the Nelson Doubleday collection sale, noted in pencil on the upper wrapper 'Published July 1906'. Scarce - Richards locates 8 copies in institutions. RICHARDS A204. STEWART 305. LIVINGSTON 304. Friedrichshafen, 10. III. 1906. - 1 p. on double leaf. 4to. 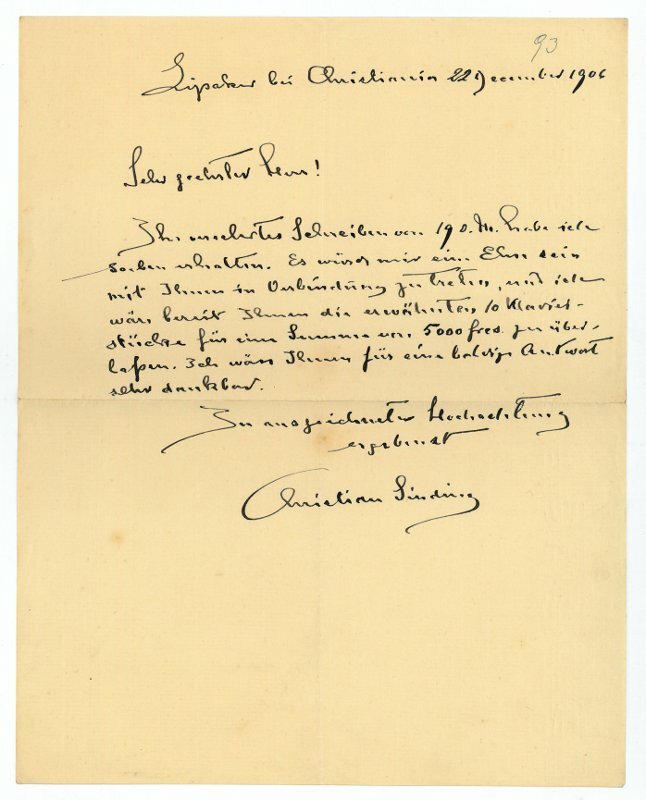 In German, to Nicolas Thege de Konkoly, director of the meteorological institute in Budapest, thanking him for "the ongoing sending of interesting publications by the royal meteorological institute. There is particular value in the information on winds, in view of its importance for airship travelling [ ]. - With small remarks by the addressee, stamped. 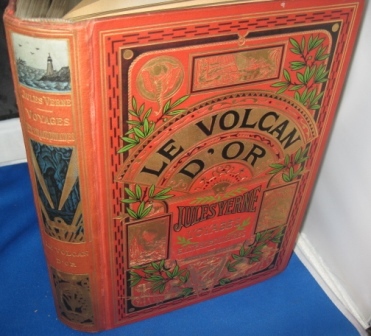 Journal de l'expÃ dition antarctique franÃ§aise 1903-1905. Le "FranÃ§ais" au PÃ le Sud . PrÃ face par l'Admiral Fournier . Suivi d'un exposÃ de quelques-uns des travaux scientifiques par les membres de l'Ã tat-major MM. Matha, Rey, PlÃ neau, Turquet, Gourdon, Charcot. 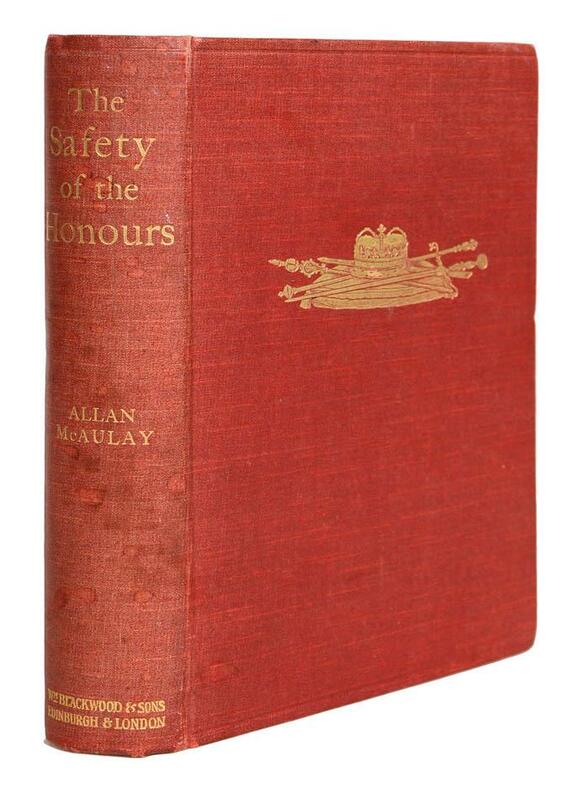 The Safety of the Honours. 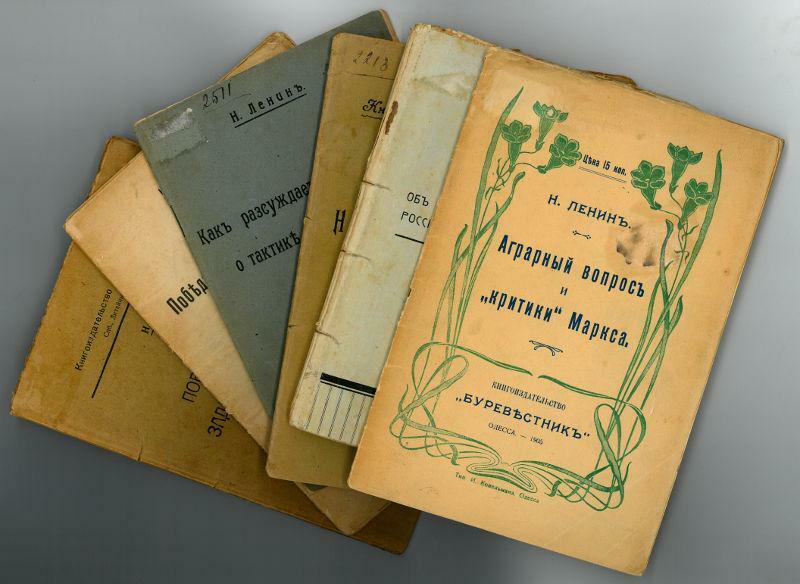 A collection of six pamphlets from 1905-1906. Kleine Dramen. Das Bergwerk zu Falun. Der Kaiser und die Hexe. Das kleine Welttheater. 2. Aufl. GENTE MENUDA. SUPLEMENTO INFANTIL DIARIO ABC. 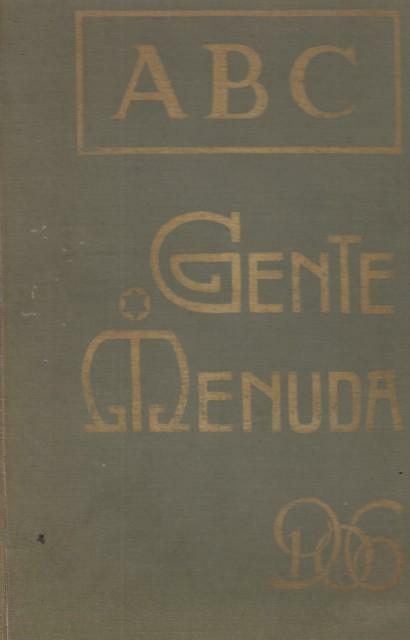 AÑO 1906. AÑO I.
ENRIGHT, MAGINEL WRIGHT. [BAUM,L.FRANK]. PRINCE MUDTURTLE by Laura Bancroft. Chicago: Reilly & Britton (1906). 8vo, pictorial cloth, 61p., slightest bit of edge soil else fine! 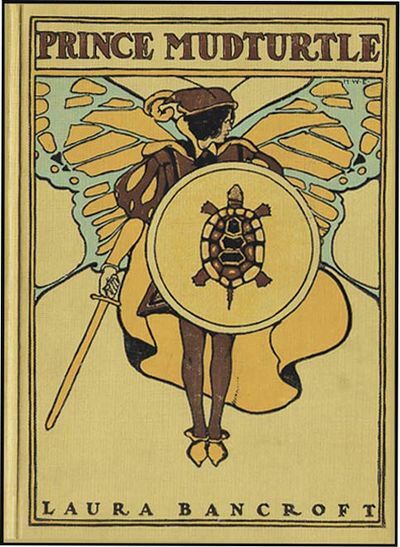 1st edition of this rare title in the Twinkle Tale Series, this is a wonderful fantasy written by Baum under his Bancroft pseudonym and illustrated in color by MAGINEL WRIGHT ENRIGHT. No Man's Land. A History of Spitzbergen from its Discovery in 1596 to the Beginning of the Scientific Explorations of the Country. Oslo 1906. Large 8vo. X + (2) + 377 pp. Illus. in b&w. 2 folding maps in rear pocket. Publisher's full cloth. Ends of spine bumped. Rear pocket torn. Otherwise very good. DANTE ALIGHEIRI; Johann Wolfgang von Goethe; Virgil. The Aeneid; The Divine Comedy; Faust A Tragedy. Boston: Houghton Mifflin,, 1906. The Divine Comedy translated by Henry Wadsworth Longfellow; Faust translated by Bernard Taylor; The Aeneid translated by Christopher P. Cranch. 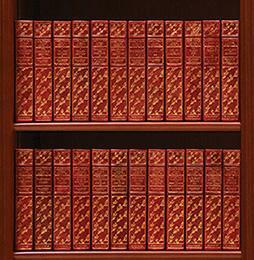 12 volumes, octavo (266 x 184 mm). Finely bound by the Riverside Press in dark blue morocco, titles and elaborate decoration to spines gilt separated by raised bands, panelled boards gilt, triple rule gilt to turn-ins, marbled endpapers, top edges gilt, others untrimmed. With numerous illustrations on japon vellum; frontispieces in two states. The occasional minor blemish, offsetting to endpapers, excellent condition. Large paper editions, limited to 650 copies each of which this is number 73. Dante is in six volumes; Goethe in four and Virgil in two. A particularly handsome set. London, Edward Arnold, 1906. 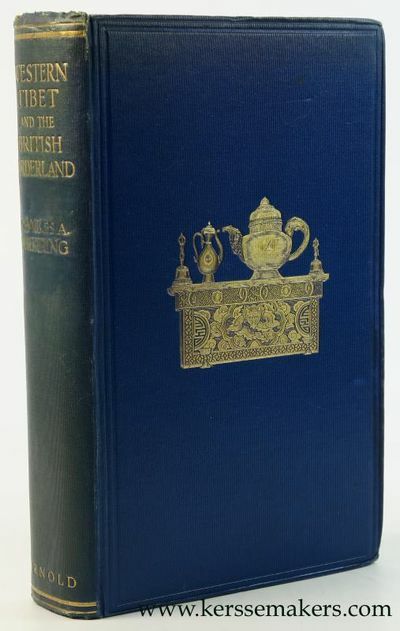 Original blue cloth hardcover, decorated with gilt. xvi,376 pp. ; Photogravure frontispiece. 2 large fold-out maps in color and many illustrations in the text and full page; 25x16 cm. Text in English - (sl. worn, sl. browned) Although still very good, see picture. More pictures on request. London: Edward and Arnold. Good+. 1906. First Edition. Hardcover. Original blue cloth decorated with gilt. (xv) , 376pp. Interior of text is tight, clean & intact. Photogravure frontispiece. 2 large fold-out color maps ( Western Tibet & Western Tibet and British Borderland. ) 175 partial & full-page b/w illustrations from photographs. A chapter by T. G. Longstaff describing an attempt to climb Gurla Mandhata. Front cover has a semi-circle stain; endpapers somewhat tanned. G+ Condition. 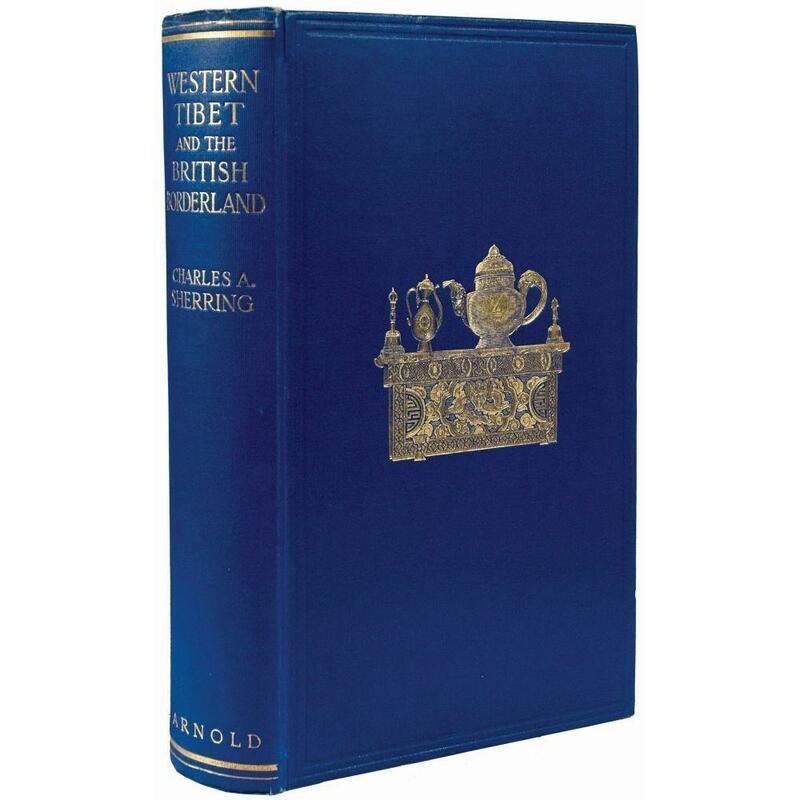 Asia, Western Tibet; Maps & b/w Engravings; 8vo 8" - 9" tall; 376 pages . 1906. [inscribed by Conrad] New York and London: Harper & Brothers, 1906. Original blue cloth pictorially decorated in yellow, grey and brown. 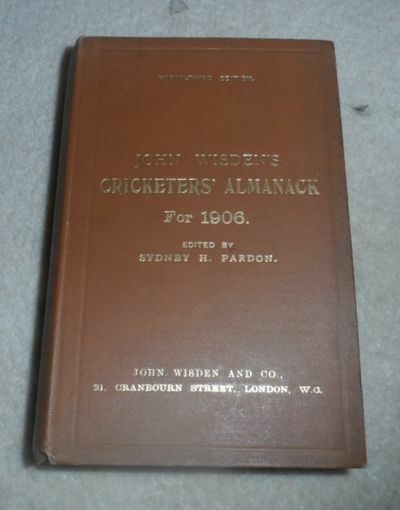 First (American) Edition, published on the same day as the London one. This was Conrad's first volume of autobiographical non-fiction. This copy is in Cagle's binding "a," with the smaller (17x11mm) anchor-and-rope device on the front cover -- probably the earlier binding state, and certainly the one more-frequently encountered. 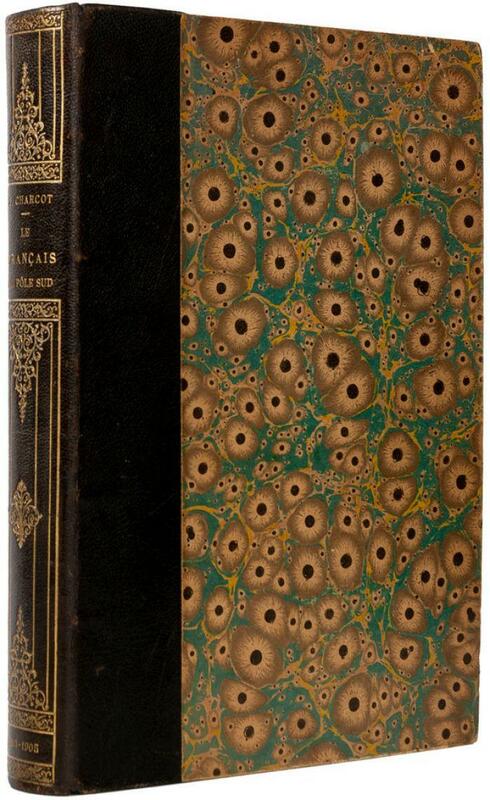 This is a very good copy (spine darkened, rubbing at extremities and of pictorial pigment). Cagle A11b. 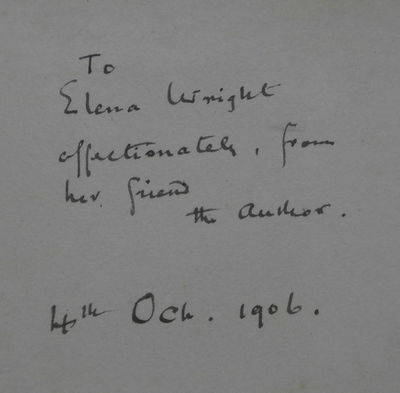 Housed in an attractive cloth slipcase with inner chemise.~This is an inscribed presentation copy from Conrad, with the following endpaper inscription: "To Elena Wright | affectionately, from | her friend the Author | 4th Oct. 1906." Eleanor Annie "Elena" Wright (1877-1961) was Jessie Conrad's first cousin -- the daughter of Jessie's mother's sister Sophie -- who took dictation and typed for Conrad during these early years. In fact, THE MIRROR OF THE SEA owes a lot to Elena Wright: as Ford Madox Hueffer (Conrad's co-author of the recent ROMANCE) later recalled, Conrad "wrote" this book by reminiscing out loud (with Elena Wright taking it all down) -- in Hueffer's presence (Hueffer typically takes much credit for reminding Conrad of many events). Three things are noteworthy about this inscription: first, that it is so familiar ("affectionately, from her friend"); second, that at this early stage of Conrad's career (he would not hit it big until CHANCE in 1914), he chose to inscribe with humility, i.e. to write "the Author" rather than his signature; and third, that the date "4th Oct. 1906" was the actual date of publication of both the UK and US editions. (There is also a more recent inscription on the same leaf: "Eve Goodman from J.S. Hall | in memory of Nell"; since "Nell" is often a nickname for Eleanor, these people were quite likely descendants of Elena Wright.) Provenance: small bookplate of Stanley J. Seeger (his sale II, lot 254). Blackie and Son Limited N.d. , London - 227 pp. Bound in full crimson morocco with gilt lettering & decoration to spine. All edges gilt. 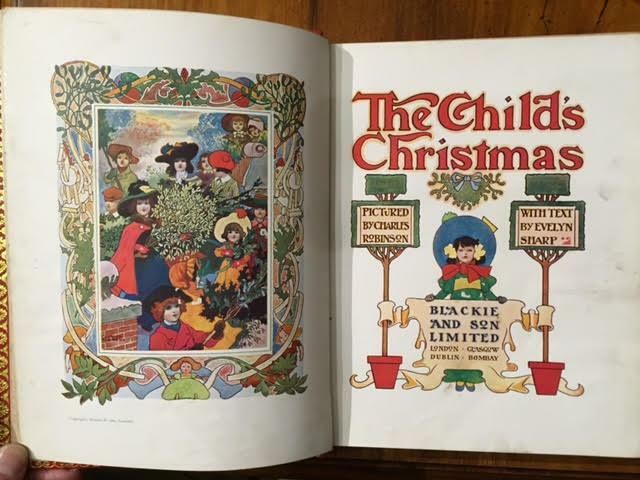 Gilt turn-ins and pictorial endpapers. Original gilt decorated cloth cover bound in at front. Area of darkening to front board at lower right and edge. 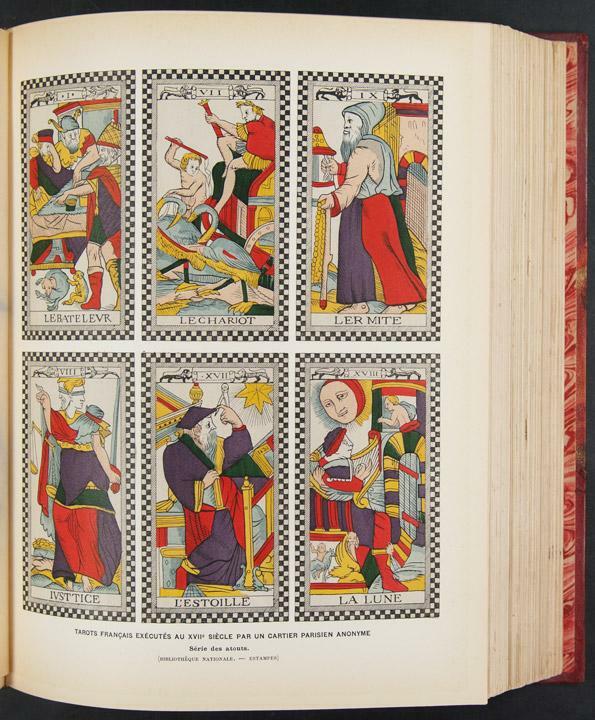 With 38 colour plates and colour title page by Charles Robinson. Plates complete. Numerous b&w illustrations. A VG copy. THE WOLF-MEN: A TALE OF AMAZING ADVENTURE IN THE UNDER-WORLD ..
SCHENK, Leonardus [and Abraham RADEMAKER]. Gesigt van de Visbrug, de Waag en Vismarkt, te sien naar de Hooglandsche kerk en Stadhuys tooren, tot Lyden. | Vüe du Visbrug, du Pois et Poissonerie, vers l'eglise de Hooglande et la tour de la Maison de Ville a Leide. [Amsterdam], Leonardus Schenk, [ca. 1728/35]. Large engraved wall print on 2 sheets, (together 58 x 97 cm) the sheets overlapping each other slightly, showing the traditional business centre of the city of Leiden. The title, both in Dutch and French, is printed in a banderole at the head, with putti on each side supporting the arms of Leiden and Holland. Leonardus Schenk's name appears as engraver and publisher at the right tip of the banderole. In black passepartout and gilt frame (82 x 121 cm). Overvoorde, Catalogus van de prentverzameling der Gemeente Leiden (1906), no. 964; Waller, Biogr. woordenb. Noord Ned. graveurs, p. 287. 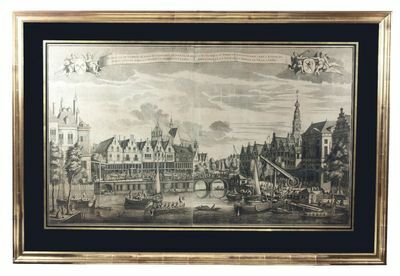 A large engraved wall print in two sheets showing the trading and commercial centre of the city of Leiden, at the convergence of the Oude Rijn and Nieuwe Rijn canals. Unlike most other Dutch towns, Leiden had no central market square, so that the waterways formed the major access routes for merchandise. On the banks of the canals there is a lively market that converges on the bridge central in the print. Market traders and customers come and go. Women from the coastal fishing villages of Katwijk and Noortwijk display fresh fish for sale. Right in the print we see the monumental "Waag", the weigh-house built in 1658 following a plan by the Dutch architect and engraver Pieter Post. The splendid relief, designed by Rombout Verhulst, that crowns the entrance, is reproduced with a sharp eye for detail. In front of the building commercial goods are hoisted up from carts and a number of ships for transport to the weigh-house. Several other ships had moored and now continue to their destination. A boat flying the Dutch flag brings in a prominent party, while a herald standing precariously at the bow trumpets for right of way. We know of several other wall prints by Schenk depicting local situations with almost photographic detail. Thanks to this detail important socio-historical aspects have been passed on to later generations giving these prints an important cultural meaning today. With some faint foxing, otherwise in very good condition. Sinding, Christian, norwegischer Komponist (1856-1941). Lysaker, 22. XII. 1906. - ¾ S. 4to. "Ihr verehrtes Schreiben vom 19. d. M. habe ich soeben erhalten. Es würde mir eine Ehre sein mit Ihnen in Verbindung zu treten, und ich wäre bereit Ihnen die erwähnten 10 Klavierstücke für eine Summe von 5000 frcs. zu überlassen. Ich wäre Ihnen für eine baldige Antwort sehr dankbar [ ]". Buffalo Bill (d. i. William Frederick Cody), legendärer Bisonjäger u. einer der Begründer des modernen Showbusiness (1846-1917). Portraitpostkarte m. eigenh. 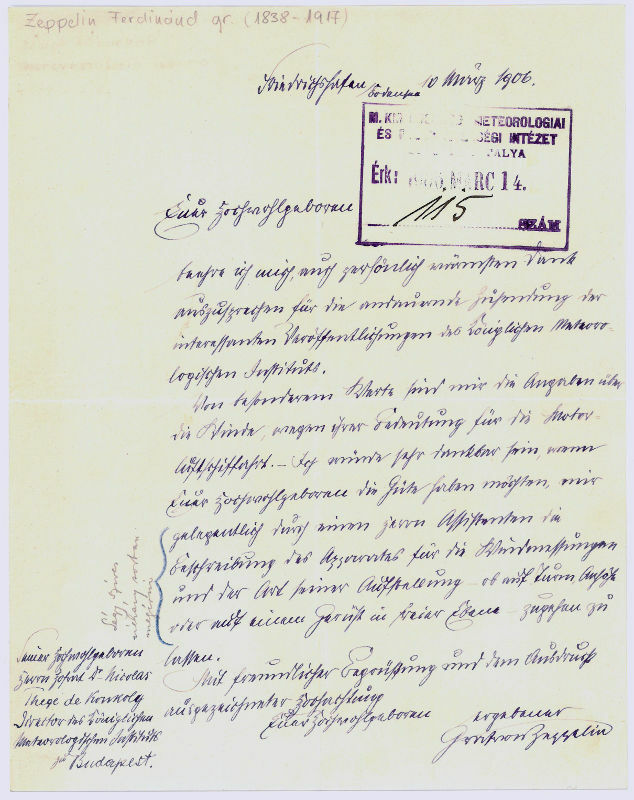 Unterschrift W. F. Cody Buffalo Bill 1906. 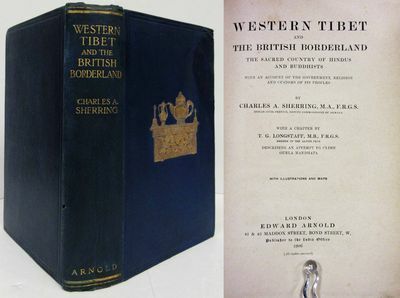 Western Tibet and the British Borderland. : The Sacred Country of Hindus and Buddhists. With an Account of the Government, Religion and Customs of the People. With a Chapter by T.G. Longstaff describing an attempt to climb Gurla Mandhata. London Edward Arnold 1906 - The author was a member of the Indian civil servce and deputy commissioner of Almora. His book includes a chapter by T. G. Longstaff describing an attempt to climb Gurla Mandhata. 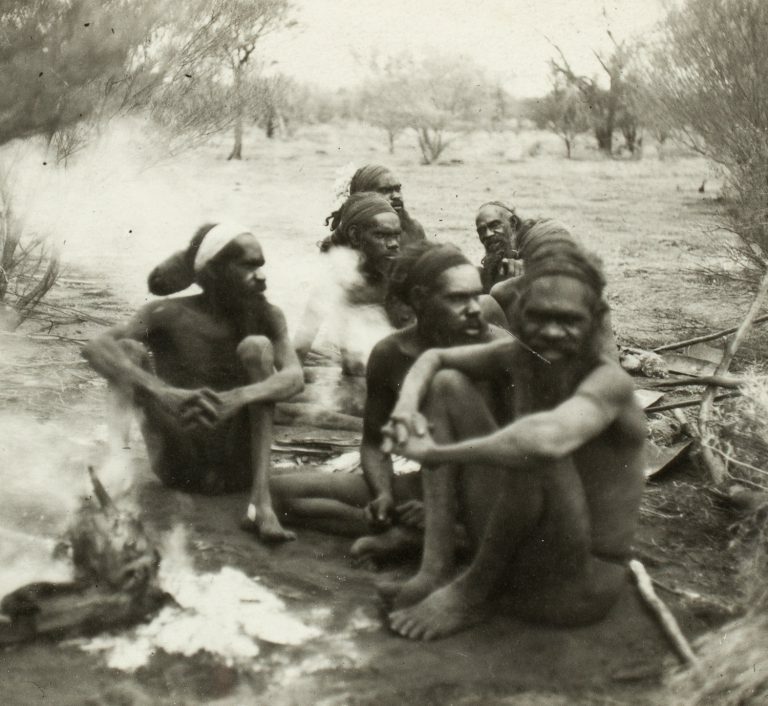 Longstaff provided many of the photographs used to illustrate the book. Cordier BS 2927; Morrison I, p. 674; Yakushi S203 An exceptionally fine copy in the original blue cloth. First edition Tall 8vo, pp. xv, [i, blank], 376; frontispiece, 5 maps (2 folding); numerous illustrations, some full-page. Enumeratio Plantarum in Insula Formosa sponte crescentium hucusque rite cognitarum adjectis descriptionibus et figuris specierum pro regione novarum. [AND] Flora montana Formosae, an enumeration of the plants found on Mt. 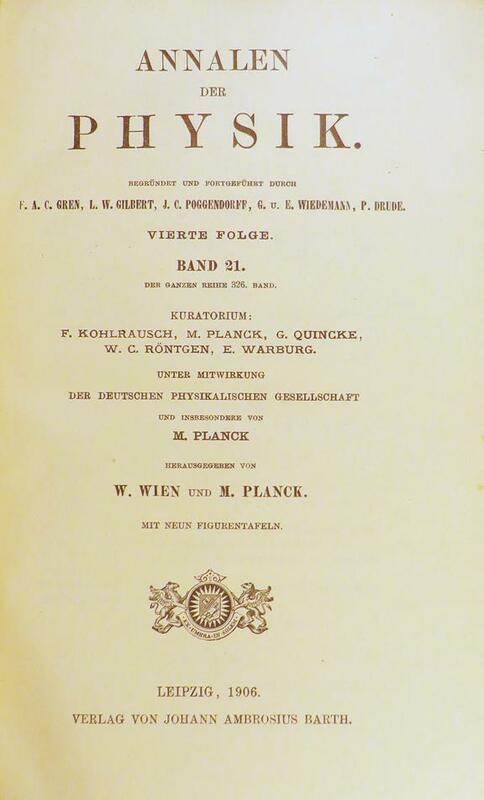 Morrison, the Central Chain, and other mountainous regions of Formosa at altitudes of 3.000-13.000 ft. [AND] Materials for a flora of Formosa, supplementary notes to the Enumeratio Plantarum Formosanarum and Flora Montana Formosae. [Complete]. Tokyo, The College of Science, Imperial University, 1906-1912. 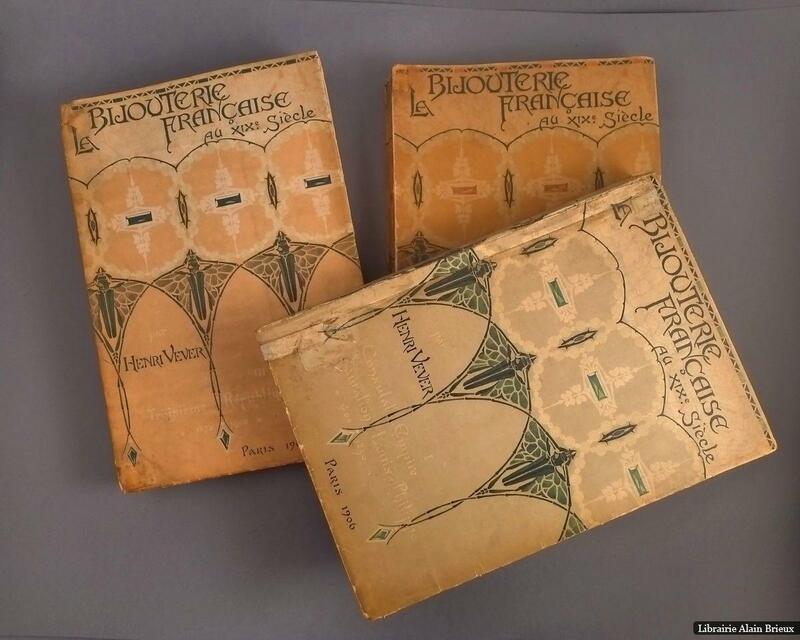 Three volumes in three. Large 8vo (25.5 x 18.7 cm). 1,435 pp. 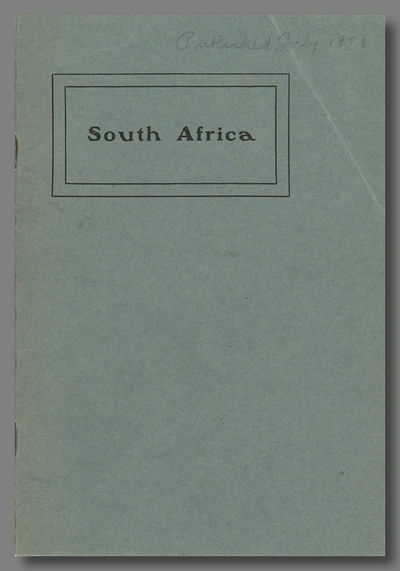 [I(1906): 704; II(1908): 260; III(1911-1912): 471], one coloured folded map, 58 engraved plates, several text illustrations. Later uniform blue paper-covered boards with printed title mounted on the front boards.= Despite the three different titles these works clearly belong together, as they all deal with the botany of modern day Taiwan. The first part discusses the low altitudes (below 3,000 ft). The second, by Hayata alone, is on plants from higher elevations on this mountainous island. This area was little explored, and therefore Hayama added many new species. With 41 plates, this part is the most richly illustrated. The third part, also by Hayata, contains additions and corrections to the first two parts, and includes many new taxa too. A complete set such as this one is rare. About eight plates in the first part have some marginal repairs with Japanese paper, but otherwise in very good condition. Stafleu and Cowan, 5678, 2497, 2500. MANUALE DELL'ARCHITETTO - COMPILATO SULLA TRACCIA DEL BAUKUNDE DES ARCHITEKTEN. TORINO, UTET, 1906 - 1935. DONGHI, Daniele. MANUALE DELL'ARCHITETTO - Compilato sulla traccia del Baukunde des Architekten. Torino, UTET, 1906 - 1935. In-4°: 2 Volumi in 10 Tomi. Leg. mz. tela d'epoca scritta in oro ai dorsi,(compresa l' appendice). Opera rara e ricercata in prima edizione,illustrata da migliaia di figure nel testo,da tabelle e da Tavole fuori testo,così composta: Vol.I - Parte I: Materiali,elementi costruttivi e finimenti esterni delle fabbriche,pp. 1012.Vol.I - La costruzione architettonica - Parte II, Elementi complementari od accessori e finimenti interni - Sezione I: "Lavori da falegname, da fabbro, ecc. intonachi, Rivestimenti, Provvista e distribuzione dell' acqua, Ghiacciaie, Lavanderie, Smaltimenti dei rifiuti, Freddo artificiale", pp.782. Vol.. I- Parte II - Sezione II, "Impianti di illuminazione, di riscaldamento e di areazione, di telegrafia e telefonia, di elevatori - ascensori", pp. 540. Vol. II. La composizione architettonica - Parte I: "Distribuzione" - Sezione I: "Abitazioni civili. Edifici religiosi: Edifici per istituti di educazione. Edifici di conforto. Stabilimenti balneari: Edifici per il servizio postale, telegrafico e telefonico, pp. 1118. Vol.II - Parte I - " Stabilimenti carcerari, penitenziari, di correzione e di soccorso: Mercati del bestiame, ammazzatoi e macellerie, Mercati coperti. Magazzini commerciali di deposito e di approvvigionamenti. Esposizioni, Istituti di credito e commerciali", pp. 777. Vol. II - Parte I - Sezione III: "Sedi di Società commerciali, di aziende giornalistiche, librarie ed editrici. Locali e fabbricati per il commercio,Stabilimenti sanitari, Ricoveri, ospizi, asili vari", pp. 794. Vol.II - Parte I _ Sezione IV: "Biblioteche e archivi, Impianti e fabbricati per lo sport: Impianti ed edifici per scopi vari: Sudi per pubblici spettacoli: Edifici e impianti per intrattenimenti, assemblee, festeggiamenti, ecc. Sedi di associazioni per scopi vari: Studi per artisti, professionisti e fotografi", pp. 852. Vol.II - Parte I - Sezione V: "Edifici amministrativi. Palazzi per il Parlamento. Edifici giudiziari",pp.525. Vol.II - Parte II: "Decorazione ed estetica architettonica",pp.285. Appendice:" La sicurezza dei fabbricati, L'igiene nella costruzione, l'acustica e l'ottica: Restauri, consolidamenti, ecc. L'urbanistica, La professione dell'architetto. costruttore", pp.492, con 303 figg.e 10 tavv. per lo più ripiegate Cfr. Pagliaini, I, p. 469. Raro.